It can be tempting to distract yourself when traveling long distances in the car, but looking down at your phone, for changing the song or checking navigation, can be extremely dangerous for you and everyone else on the road. 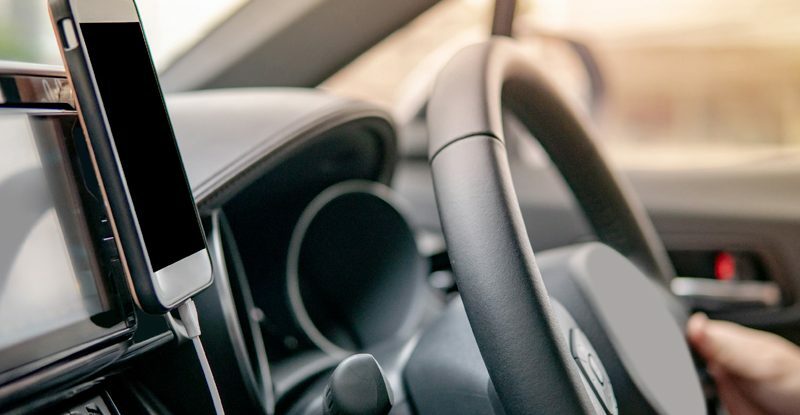 That’s why we’ve put this list of the best car mount phone holders on Amazon together – to keep your eyes on the road and your essential apps in a convenient location! As long as your vehicle has a CD slot, the Koomas Pro CD-M Mount can be used to bring convenience and safety to your road trips. It features easy one-handed operation that makes for hassle-free use, complete 360-degree rotation, and is cradle-less, so say goodbye to bulky, unsightly mounts! Keeping your eyes on the road is imperative and only gets harder when on a long trip, so use the Koomas Pro CD-M Mount to keep your attention where it belongs! With the Auto Tech Air Vent Mount, your mounting positions are limited only by the vents in your vehicle. It’s slim, unobtrusive, and easy to use. Simply clip onto the air vent of your choosing and enjoy hands-free convenience. It also features 360-degree rotation, allowing you to use your phone in either portrait or landscape mode depending on your needs. As an added bonus, it comes with a lifetime warranty for your peace-of-mind. For minimalist design and exceptional mounting versatility, look no farther than the CAW.CAR Accessories Universal Magnetic Mount. From smartphones to GPS units, this handy device allows you to it mount to any flat surface in your vehicle. It features easy one-handed operation and 360-degree rotation due to its simple magnetic construction. It even comes with three ultra-thin magnet discs, so you can switch between three devices quickly and easily. This smartphone mount uses a sticky gel pad to securely rest on most interior surfaces, but also allow for removal and relocation. The benefits of the iOttie Easy One Touch Mount don’t end there, though. The telescopic arm allows your device to move two inches closer to you for easy use and added visibility. Through in exceptionally convenient one-touch mounting and dismounting and you have a real winner! The WizGear Air Vent Magnetic Mount takes the convenience of both vent and magnetic mounting and combines them into the ultimate combination of simple, easy-to-use functionality and style. It’s powerful enough to hold any smartphone and even lets you swivel your display to the perfect viewing angle. Best of all, the magnetic connection provides for a one-handed operation and unbelievably quick connection and disconnection. The Bosynoy Dashboard Mount is a clam shell-style holder that can accommodate practically any device under seven inches. That means your smartphone, GPS, or any other gadget you might have! It has a reusable gel base so it can be moved or used in another vehicle, and thanks to the design, it can fold flat when not in use. The specially-angled shell ensures that the sunshine won’t cause your device to overheat. Every element of this mount is designed with functionality and visibility in mind, so you can rest easy knowing that you’ve made a great choice fr your next road trip! With a high-quality aluminum arm that can extend up to eight inches for maximum visibility, the Mpow Windshield Mount is perfect for securing your device up and away from the dash. It features a power gel suction cup that can be mounted and removed with one touch. You can even rotate your device 360 degrees to provide the best viewing angle for navigation. If you don’t want to mount your device to the windshield, this mount comes with an extra dashboard kit to properly secure it elsewhere. Talk about versatility and convenience! The Vansky 3-in-1 Mount holds true to its name by offering three different mounting options: an air vent, the dashboard, or the windshield. The benefits of this are obvious, but cannot be overstated. Being able to change the mounting position is perfect for vehicles with multiple drivers, swapping between vehicles, or simply finding the most comfortable and functional viewing position for your device. The mount also features 360-degree rotation to further up the convenience factor! The Mpow CD Slot Mount is an impressively-sturdy holder for most mobile devices. It mounts directly into your CD player, so as long as your car has that option, this holder will work! It also features easy one-handed operation. Simply set the phone in the holder and squeeze the sides! To release, just press a button. It doesn’t get much easier than that! It is also adjustable, allowing the phone to pivot to various angles and rotate 360 degrees for optimal viewing.